The ruins of Dunure Castle lie in a quiet location overlooking Ayr Bay in the Firth of Clyde, on the west coast of Scotland. 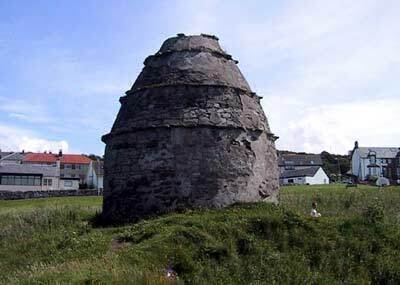 The original structure was built before the 13th century, but the remains of the castle are of a later period. 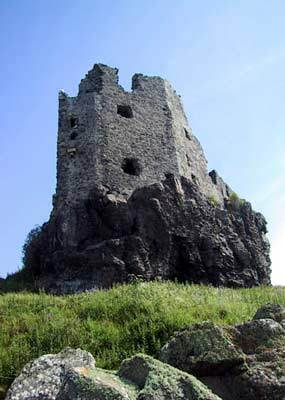 The castle was the ancient seat of the Kennedys of Carrick, who were granted the lands in 1357. In 1509, David Kennedy was created 1st Earl of Cassillis. The 4th Earl of Cassillis, Gilbert Kennedy, entertained Mary from 4th to 7th August 1563 during her third progress, which took her to the west of the country. 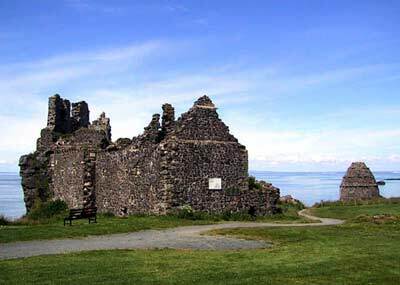 In September 1570, Dunure Castle was the scene of a gruesome event during which Gilbert Kennedy roasted alive the Commendator of Crossraguel, in order to force him to transfer to him some of the lands belonging to the Abbey. The Commendator yielded after two turns of the spit and survived his injuries to a ripe old age. 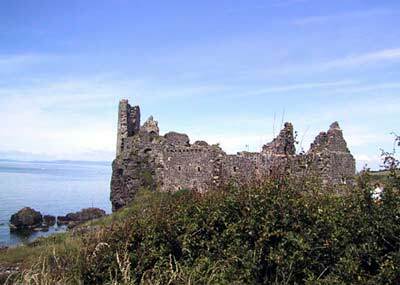 Dunure Castle has been in private hands since 1704 but fell into disrepair by the middle of the 17th century. It may have been destroyed by fire.